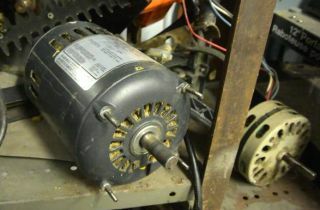 Such motors will typically have six leads coming out of the motor to the wiring box, or some of the connections may be screw terminals. 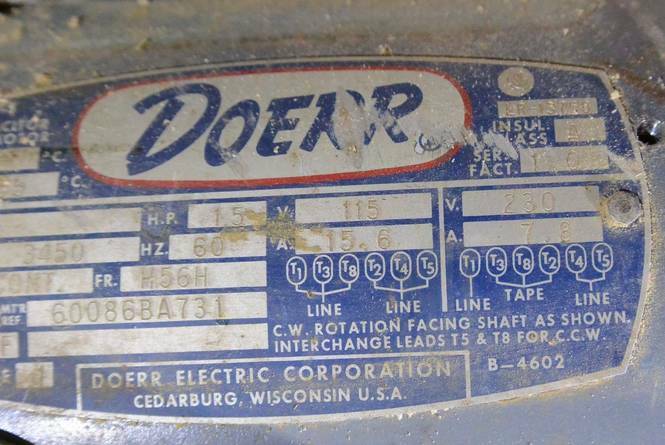 The best way to change the voltage on a motor is to follow the wiring diagram on the label. But sometimes when you open up a motor, there's just six wires and no diagram! This happened to be the case for the 1.5 hp motor for my old table saw. 20 years ago I wired it to 240 volts, but I wanted to switch it back to 120 volts. Internally, the motor has two 120 volt windings, which are in series when the motor is wired for 240 volts (left, at left). When switching it to 120 volts, the two windings are reconfigured to be in parallel. It would be easier to connect A to C, and then connect power to B. 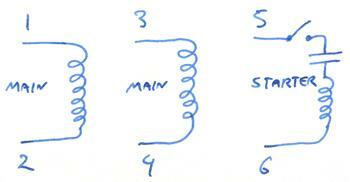 But this will switch the polarity of the winding between A and B, which means winding A-B would be fighting winding B-C. If you then plugged it in like that, the motor would draw about 100 amperes, but it wouldn't run. If the circuit breaker didn't pop right away, the motor would start to smoke within ten seconds. But it's actually more complicated than illustrated above. The motor also has a starter winding, which is in series with a starter switch and starter capacitor (see red outline at left). The starter winding is only active while the motor is spinning up to speed. If the starter winding and capacitor also needed to be reconfigured for voltage changes, the wiring would be quite a nightmare! 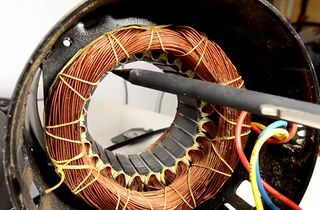 So instead, the starter winding in these motors is always a 120 volt winding, and the motors two 120 volt windings are used as an autotransformer to make the 120 volts for the starter winding. 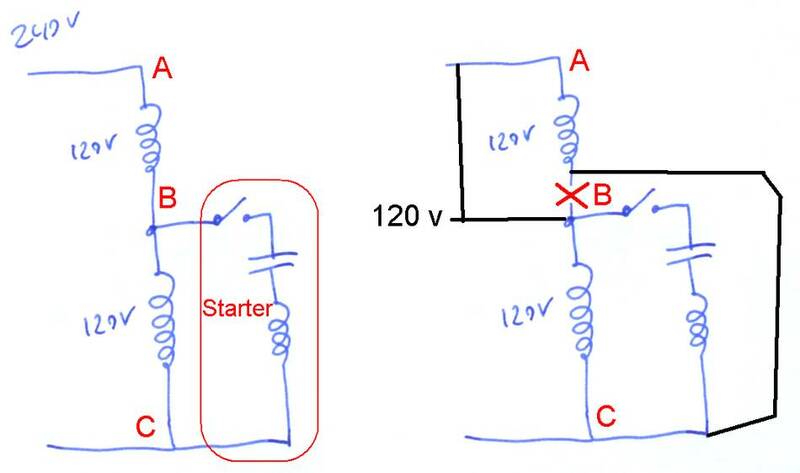 Reconfiguring between 240 and 120 volts is done the same way, but the starter winding stays connected to one of the windings. If you don't have a wiring diagram, and the motor is currently wired for 240 volts, you can identify point "B" by the fact that it isn't connected to either power lead. Using an ohm meter, check which of the three wires from B lead to the power lead with just one wire attached to it. That's the one you need to disconnect and connect to C. And the winding end at A needs to be brought to B. 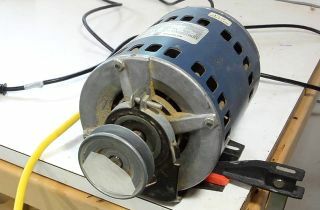 After working this out, I realized, 20 years ago, I moved the starter capacitor mount on this motor so it wouldn't protrude above the table saw table when the blade is tilted 45 degrees. 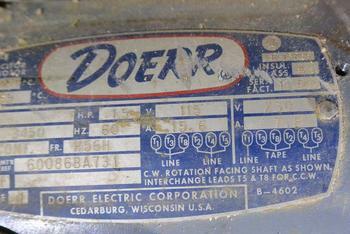 And in moving the capacitor, I ended up mounting it right over the motor's label plate, which also shows the wiring. So removing the capacitor cover, I could see the label, complete with wiring diagram and I was able to check my work before I plugged it in. Suppose you have a mystery single phase induction motor, 1750 rpm or 3500 rpm (or very close to those RPMs). There are six leads, or wires coming out of it. How do you wire it up? On some motors, it will be six connections, but some of them may be screw terminals in the wiring instead of wire leads. I'll just call them leads. 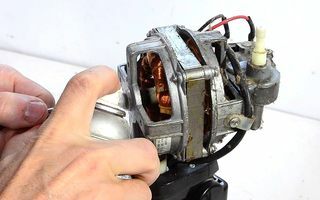 If the motor has screw posts for attaching the leads to, it will typically have an additional screw post for connecting wires together in 240 volt operation, but the screw post doesn't connect to anything in the motor. Using an ohm meter, find a pair of leads that has less than 5 ohms between them. The reading should not change as you hold the meter on those. Label these wires 1 and 2. 1 and 2 shouldn't have any conductivity to any other leads coming out. 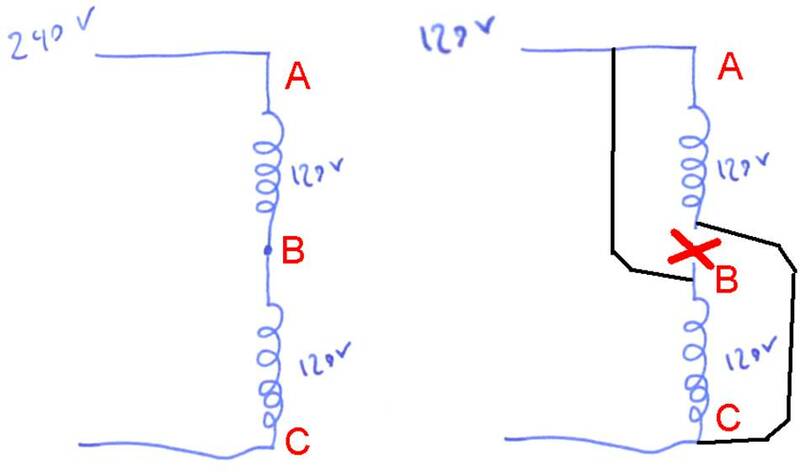 Now find another pair of wires with the same resistance as 1 and 2 between them, Label these 3 and 4. 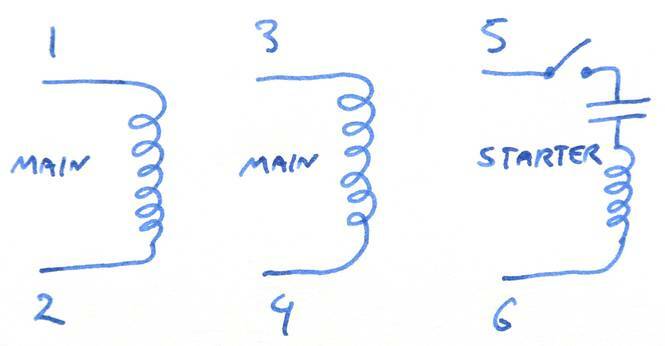 1-2 and 3-4 are the main windings. 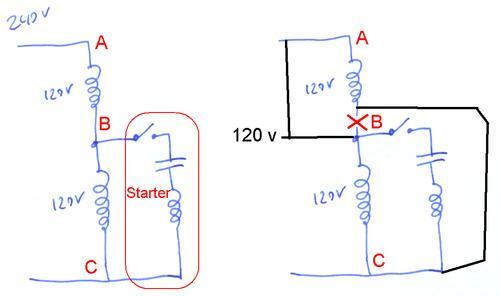 The remaining two leads should connect to the starting capacitor, starting switch, and straiting winding in series (with the motor not running, the starting switch will be closed). Label these remaining leads 5 and 6. If you measure the resistance between 5 and 6, you should see the reading on your meter continually increasing (set your meter to something other than the lowest ohm range). If you swap the meter probes between 5 and 6, the resistance reading will be lower again, but again go up. You are measuring resistance across the capacitor, and as it "charges up" from the meter applying current to measure, the resistance reading will go up. 1,3,5 to one power lead and 2,4,6 to the other OR 1,4,5 and 2,3,6. But which one?? 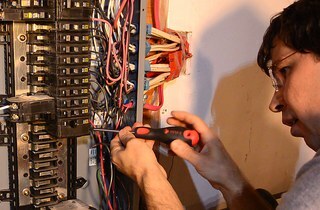 If you get it wrong, you will blow the circuit breaker or destroy the motor. Basically, if winding 1-2 is opposing winding 3-4, very bad things happen. 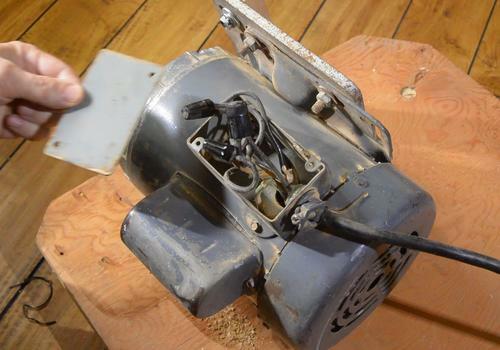 You can, for a short time, run the motor off 120 volts using just one of the 120 volt winding. So just leave leads 3 and 4 disconnected. Connect one power lead to 1,5, the other to 2,6, and plug it in to 120 volts. The motor should run. Unplug the motor, now add lead 3 to 1 and 5 (1,3,5 and one of the power leads all together), and leave just 2,6 to the other power lead. 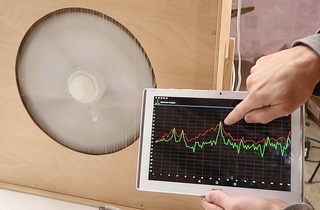 Plug in the motor, while it runs, measure the voltage between the remaining unconnected lead 4 and the other lead supplying power, connected to leads 2,6). 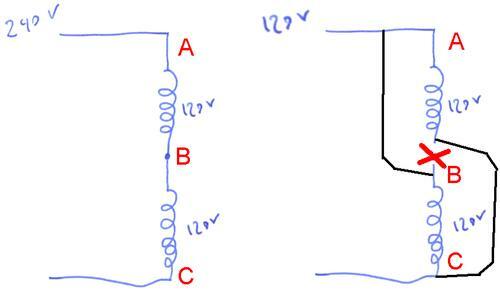 If the voltage is less than 10 volts, then you can connect lead 2,4,6 together. Your motor is now wired for 120 volts. If the reading is over 200 volts, then you need to swap leads 3 and 4. Re-label lead 3 as 4, and 4 as 3, then repeat the step above and make sure the difference reading is less than 10 volts. Connect the other power lead to 4,6. 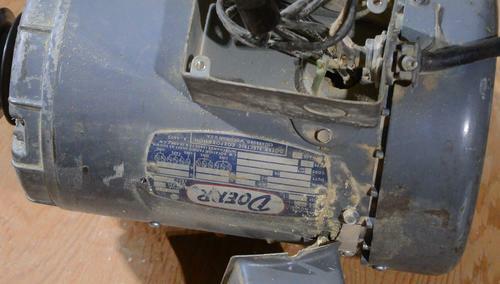 If the motor has screw posts in the wiring box, there will be an extra screw post, not connected to anything, for connecting leads 2,3,5 together. If this doesn't work for you, it's possible that the motor is not a dual voltage single phase motor, or there is something wrong with it. Feel free to email me. I probably won't be able to help you, but it's useful to know where you run into problems. That way, if a lot of folks get hung up on the same problem, I might be able to add some notes about that. And if you blow up a motor or it catches fire, don't blame me!